Even when you do everything exactly right, unforeseen factors can ruin the day. As the leaden sky began to lighten on the opening day of the 1991 archery deer hunting season — wind-driven sheets of rain pooled about my hat brim and cascaded to my lap. The rain did little to discourage the corp[s] of vicious mosquitoes that were humming incessantly about my face, some occasionally managed to find entries into my headnet. "Another summer long dream dashed," I muttered, grabbing at a spot that suddenly began itching on my right ear. For several years, the opening of a deer hunting season — archery or firearm — has been plagued by stormy weather. This day, I knew the buck I had in mind would sensibly spend the day dozing beneath a sheltering evergreen. Having so little time for bowhunting these days, I felt more or less obliged to accept whatever weather I got, hoping for the best. Though not what I had hoped for, the best was not too bad. About the beaver pond at my left, and endless parade of wild creatures kept me entertained. At first light, a beautiful, rarely seen martin [American pine marten] — dark on its back and light on its flanks — crossed the beaver dam. Later, a chattering kingfisher recklessly dive-bombed small fish in the pond while a pair of wood ducks dipped for whatever wood ducks eat along the edges. Toward evening, a pair of chocolate-colored otters alternately churned across the surface and disappeared beneath the cool surface of the pond. Then two beavers with freshly-logged popple [Quaking Aspen] saplings in their mouths headed for the dam where they spent the next hour reducing loud gurgling of water spilling over the top to a soft, melodious trickle. At sunset, a barred owl twice asked, "Who-cooks-for-youuu?" and another unknown identity answered, "Ah-ooh-ah-ohhh." All-in-all, it was a wonderful, peaceful day, just the sort my frazzled nerves needed, a day made possible by visions of a white-tailed buck. During the hour of steady walking it takes to get from stand to my usual campsite where my car was parked, I had plenty of time to think. I remembered something an old hunting partner, Clarence Fischer, once said, "You aren't a real deer hunter," he said, "until you you've hunted a whole season without seeing a deer and still believe you're having fun." Though at the time I responded as if I understood, inside I couldn't imagine how anyone could actually enjoy deer hunting without taking deer, "Well," I now admitted, "Clarence was right, if it never got any better than this, all the work and sacrifices were certainly not in vain." It occurred to me that somewhere along the line, I had turned a mysterious corner — from a hunter eternally disappointed and frustrated at the end of an unsuccessful day to a hunter wholly satisfied to have merely spent a day among wild whitetails. "How did it happened?" I pondered. It occurred to me that the change came about during the past twenty-two years or so, the period in which I spent most of my time studying whitetail habits and behavior. [Here, Doc is referring to the years of, approximately: 1969–1991. Now, it would be roughly 45 years: 1969–2014] I remembered learning early in those studies that there is no quick and easy route to discovering truths concerning whitetail behavior. 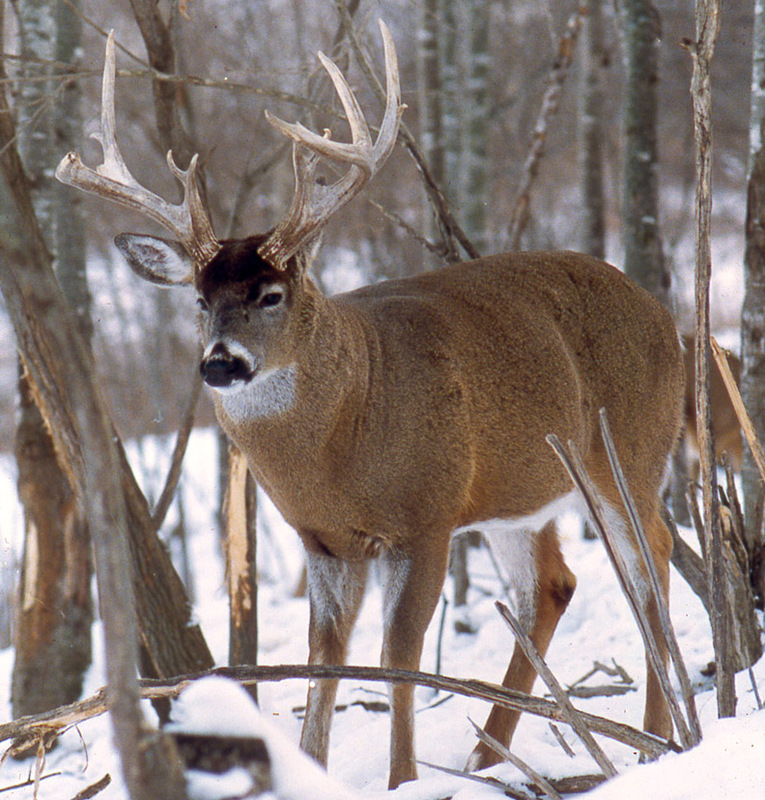 Most of the whitetail traits I have discovered — many materializing during short calendar periods only once annually — required 12–22 years of study. To learn the truth, I had to see large majorities of specific classes of deer repeat certain activities under similar circumstances many times. The way whitetails adapt to hunting techniques of hunters within specific areas and the breeding-related activities of antlered bucks characteristic of five calendar periods from September through early January were like that. I learned too, at least forty-three factors alter the timing of whitetail activity cycles, strong winds and moderate-to-heavy precipitation being among the most negative of them. Generally, these can cause whitetails to remain in their beds. Though I have been very successful as a buck hunter over more than half of my 46 seasons [now — counting the 2014 season — 70 hunting seasons!] of whitetail hunting as a result of mu research, I have learned that it is pointless to feel disappointed and frustrated when uncontrollable factors dampen hunting prospects. Even when I know I am very unlikely to spot my intended quarry, I nonetheless willingly endure the elements to enjoy a day afield among whitetails. Obviously, the act of hunting whitetails, not the act of harvesting venison, has become the most important part of my whitetail hunting. There is a great lesson in all of this. A lack of success in harvesting venison does not necessarily reflect a lack of knowledge and skills as a whitetail hunter. More often, the failure to take a deer reflects negative factors over which the hunter has no control. Hunting harder, whatever that may mean, cannot materially improve matters. Even when the hunter does everything exactly right, and even when conditions are “ideal,” the unexpected can yet ruin the day — a tyrannical red squirrel or jay scolding at you for intruding within its domain, for example, thus warning away your approaching quarry. When you learn to accept this truth, when you learn to enjoy whitetail hunting despite the failure to harvest venison, you become a real deer hunter — the best — and you will know it inside.